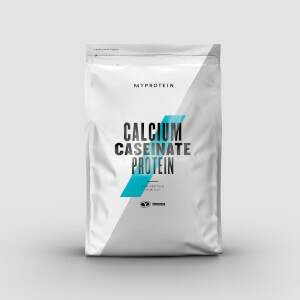 Accredited by the Cologne List®, our Slow-Release Casein has been through rigorous quality and purity testing, and is officially one of the best protein powders out there. 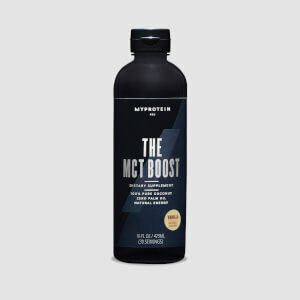 It also includes a complete amino acid profile — these naturally occur in protein and help to build and repair new muscle,1 before, during, and after workouts — so you can wake up raring to go for your next session. When to take Slow-Release Casein? It’s slow absorbing, so we recommend adding 1 large scoop (30g) to water or milk 30 minutes before bed— but it’s also ideal any time for a convenient way to get the protein you need. What does Slow-Release Casein work well with? While it’s important to get the protein you need, try with Daily Multivitamin — which provides a unique blend of vitamins and minerals to promote overall health and wellbeing. 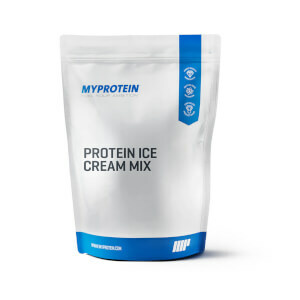 Chocolate Flavor: Micellar Casein, Cocoa processed with Alkali, Natural and Artificial Flavoring (Natural and Artificial Flavor, Gum Arabic), Cellulose Gum, Sucralose, Acesulfame K, Salt. Strawberry Flavor: Micellar Casein, Natural & Artificial Flavoring (Natural & Artificial Flavor, Gum Arabic, Color (Vegetable Juice), Sucralose, Acesulfame K.
Vanilla Flavor: Micellar Casein, Natural & Artificial Flavoring (Natural & Artificial Flavors, Maltodextrin, Gum Arabic, Sucralose, Ace K) . The nutritional information is based on the vanilla version, when choosing an alternative flavor the nutritional values may vary. I use this casien to make protien pancakes in the morning. 25g casein, 40g oats. Put in coffee grinder till all mixed and oats are powdered. Take the powdered oats and casein and add 4 egg whites and a touch of fairlife skim milk (any liquid will do, water, juice, coffee, milk) and mix till desired consistency. This batter cooks about 2x as quick as regular pancakes. These taste as good or better. Little sugar free syrup and you'd never know you weren't at ihop if it wasn't for 2 screaming kids in the morning getting ready for school. This stuff tastes awful and it thickens up immediately. Would not recommend this flavor. I always use a blender to make my protein shakes so the mixability of the Casein was good. I have had the vanilla and strawberries cream flavors and I liked them a lot but the Cookies & Cream is not enjoyable at all! If you are planning on getting this product I would recommend to get the vanilla or strawberries flavor and avoid the Cookies & Cream flavor! Replace the cottage cheese with this. Milk and some Starbucks cocoa powder! When I started bodybuilding I was reluctant to take supplements at first because I was scared of the side effects some people noticed with supplements. In this one, you can find all the traits that you look for in a protein. Delicious taste, easy mixability and highly effective. Also, with such an established brand, you need to worry about safety standards. It is banned substance tested.